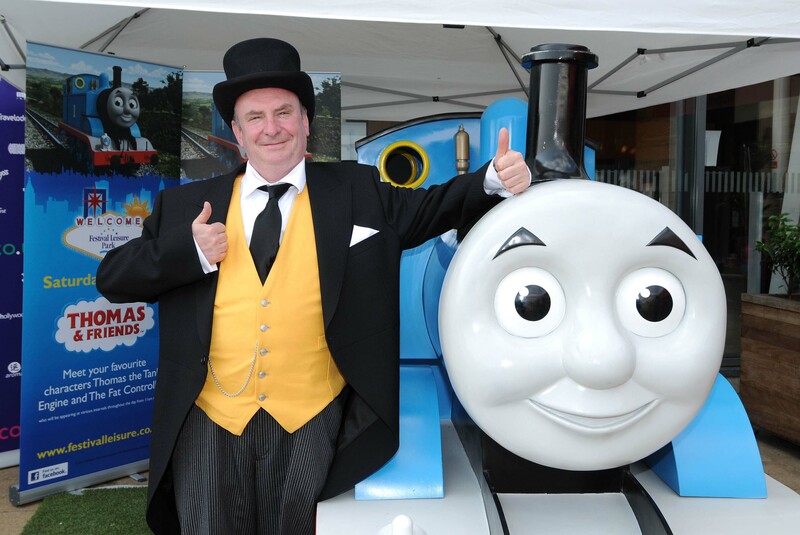 These are the official Thomas and The Fat Controller licensed characters, Thomas and The Fat Controller. 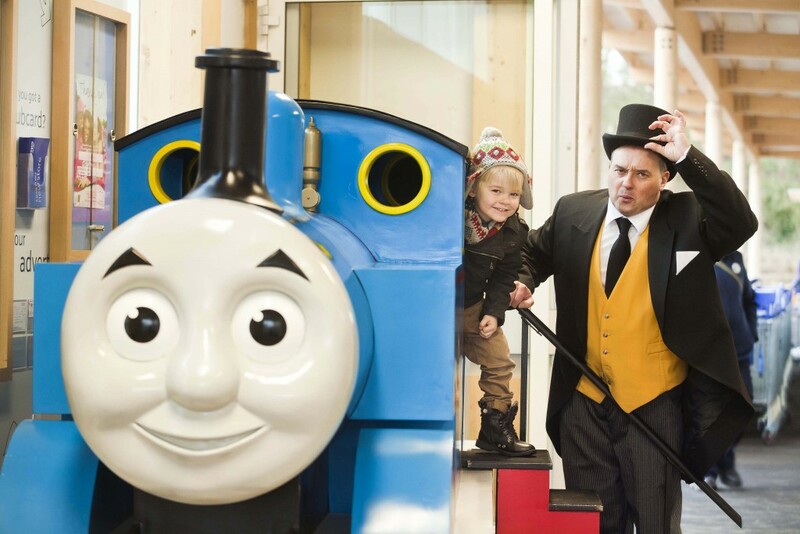 Rainbow Productions holds the UK’s official licence to manage the personal appearances of Thomas and the Fat Controller at public events on behalf of the brand owner. Thomas the Tank Engine is the number one steam locomotive. 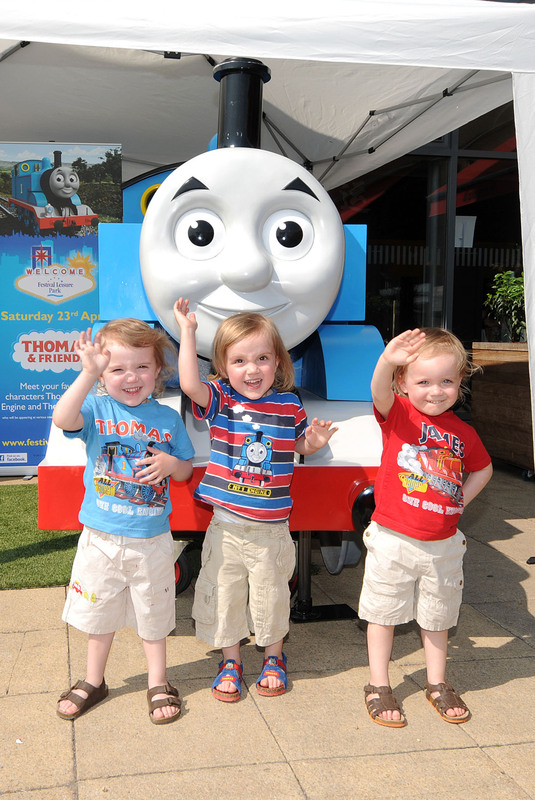 Well known for his iconic blue engine, Thomas is a loveable and cheeky train with an enthusiastic nature. Thomas tries to be the best and although he can be very useful, he regularly gets himself into scrapes trying to do things he isn’t capable of. Based upon The Railway Series of books written by the Rev. Awdry. This evergreen brand celebrated its 70th anniversary in 2015. All new TV series coming in 2018. 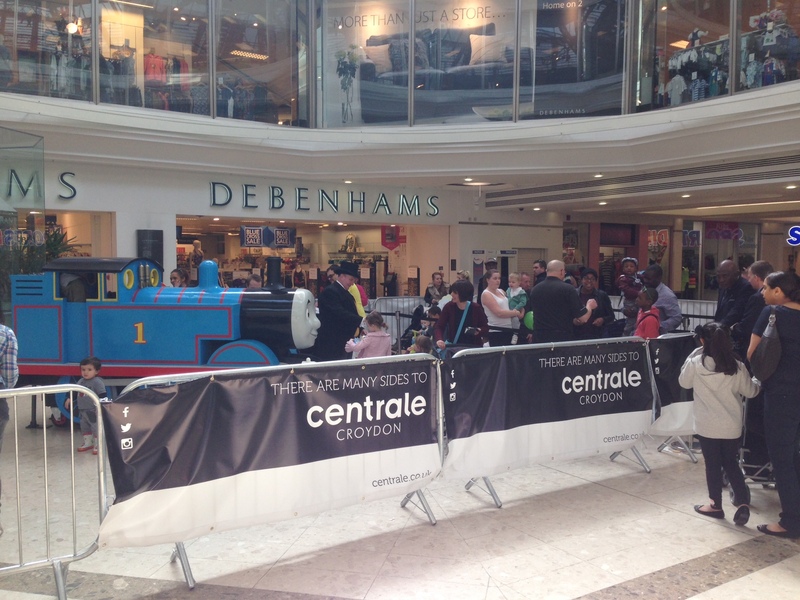 Mascot costumes Thomas the Tank Engine and The Fat Controller are available to attend UK events.